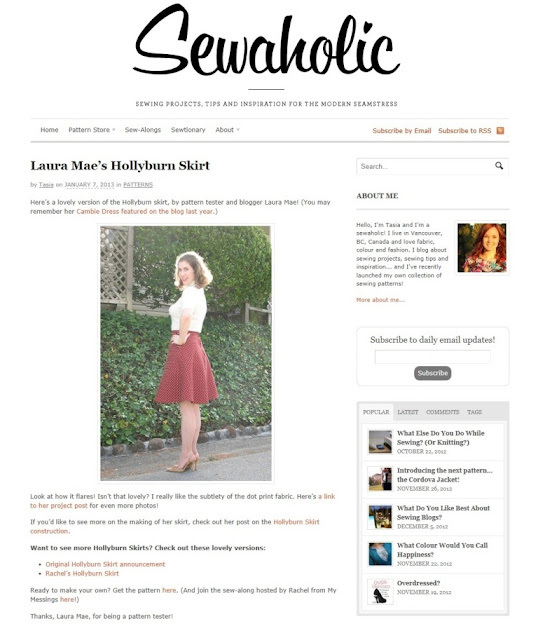 Today I was featured on Tasia’s blog in my Hollyburn skirt! As you already know, I had the pleasure of testing the pattern. I have seen a few versions, and cannot wait to see what everyone does with this pattern as all of the pictures begin flooding the internet. Make sure to check out the sew-a-long that is starting at the end of the month. How wonderful! Many happy congrats on being featured!